Getting visitors to your site is great. But what are they doing once they arrive? Because site traffic means nothing if no one interacts. So it’s time to find out if your content is doing its job. And that’s through content engagement metrics. And in this post, we’ll cover five essential metrics you can use to understand site interaction. Let’s start with a refresher on content engagement. And why it matters in 2017. 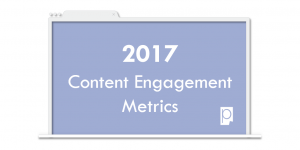 A critical KPI for 2017 is content engagement. This means different things for different companies and for different resources. For example, an eCommerce site will focus on product page conversion rates. While a wealth management firm will look at dwell time in more detail. Content engagement metrics are critical because they show content alignment to user interests. There are also many ways to measure these KPIs using analytics data. Google Analytics is the most common and provides a great view of content performance. It also shows how your performance is changing over time. Every business and online resource are different. So start considering what the best content engagement metrics are for your business. Start considering what the best content engagement metrics are for your business. This idea is critical. Because every business is unique. Site acquisition is all about volume. For any business, your goal is to get traffic. So you’ll always want these metrics to rise. For an eCommerce site, you’ll want to focus on pages/session and conversion rates. With an emphasis on your product pages. Because this shows visitors are browsing products. They don’t necessarily care about how long each visitor spends on a page. As long as they’re looking. But a wealth management firm doesn’t have this style of content (products pages). They want to see visitors hitting their blog, and spending time. Because the wealth management firm is trying to build a relationship. So they’re focusing on bounce rates and time on page. You have to use metrics that make sense to your business. Or else your won’t have a real understanding of content performance. Now let’s dive into specific content engagement metrics to track. Time spent metrics measure how long visitors browse your content. Let’s start with the micro approach – time on page. Time on page is the average time users spent on a piece of content. 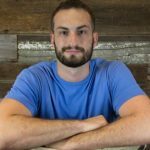 Here’s VisualFizz Founder Dan Salganik with his thoughts. With so much emphasis on content creation, companies are shelling out articles, videos, and e-books more than ever before. So measuring the actual time spent consuming this content is now an important metric. The time that users spend on page is a huge indicator of user interest. For example: If your article is 1,500 words long and your average time on page is 20 seconds, your users most likely did not read your article. 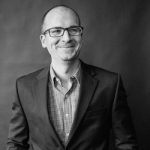 Your goal with time on page metrics depends on the content itself, just like Dan said. If you write a 1,500-word post, the goal is to have visitor read it from start to finish. So your readers should spend five to six minutes on average consuming content. But it’s the opposite for short-form content – landing pages, for example. A landing page may only be around 200 words in length. So your goal is to have visitors spend about a minute reading content, and then take the expected action. You want users to spend the appropriate amount of time consuming content. 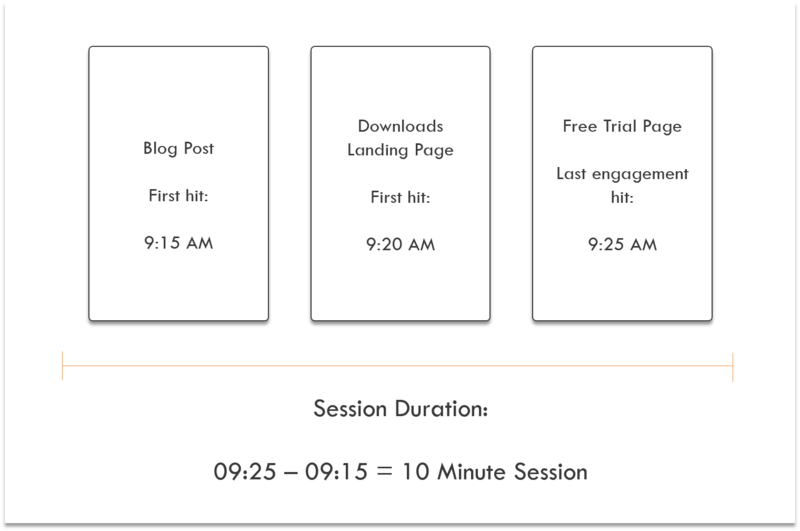 Time on page is the micro view for time spent metrics. Now let’s shift to the macro view. A session is a group of website interactions in a given time frame. So average session duration is the average across all visitor sessions. And your goal with session duration is to see the average increase. Because it means visitors are spending time browsing your content. Which in the end better for your business. So how do you maximize session duration? Start with creating valuable content. You can do this with your blog. Which lets you focus on specific industry topics and have an informal conversation with visitors. Then, help visitors take baby-steps to deeper site content. From your blog, provide a related download. Or you can provide a link to your free online tools shown throughout your blog post. The idea is keeping visitors on your site. So use value content to draw visitors in. And from there, use deeper content that’s the next logical step. Bounce rates are the percentage of single-page visits to your site. Your goal is to create content that prevents single page visits. This keeps bounce rates low. 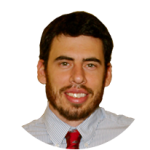 Mark Rogers, Digital Strategist at Carney shares details. One of the most overlooked content engagement metrics is bounce rate. Bounce rate is the percentage of website visitors who only visit one page on a website and then leave. This metric is vital to an online business. Because if users are getting to your website, and clicking the back button or closing the window without doing anything, there’s a problem. The whole point of your website is to get people to take action in one way or another. So if users are only visiting one page then leaving, your content isn’t doing its job. 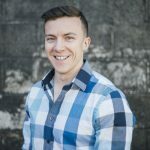 Even if that page is a landing page and they’re converting right on it, there should be a thank you page or some sort of page to push them to other sections of your website. High bounce rates tell you that something is wrong from a visitor perspective. Your offer might not be clear or it’s not what they expected when they landed on your page. Using content engagement metrics like bounce rate, you can see if your content is aligning with visitor interest. 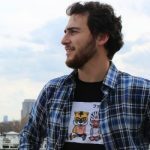 So how do you improve this metric? High bounce rates mean your offer might not be clear or it’s not what visitors expected when they landed on your page. So think about the reason behind a user visit. If you’re writing a blog post on “5 Ways Sales People Will Use AI in 2017”, you have to deliver on that promise. Then provide the next step. In our “5 Ways Sales People Will Use AI in 2017” example, you could provide a downloadable guide on each trend. Because content marketing for business is all about action. You’re not creating content to have visitors leave and forget about you. You want them to stick around and return. After you get visitors to click, then you can start focusing on content depth. This is when pages/session comes into play. Pages/Session is the average number of unique page visits over a session. And from a business perspective, the higher pages/session, the better. Pages/Session is an overlooked metric for measuring content marketing’s engagement. It’s important to see how your content drew people in. But once they viewed the content, did they immediately leave your site? Or did they browse around and engage with other pieces of content or areas of your website? Sure, racking up pageviews is important in the big picture. But if it doesn’t lead to visitors digging deep into content, it’s not a true measure of success. 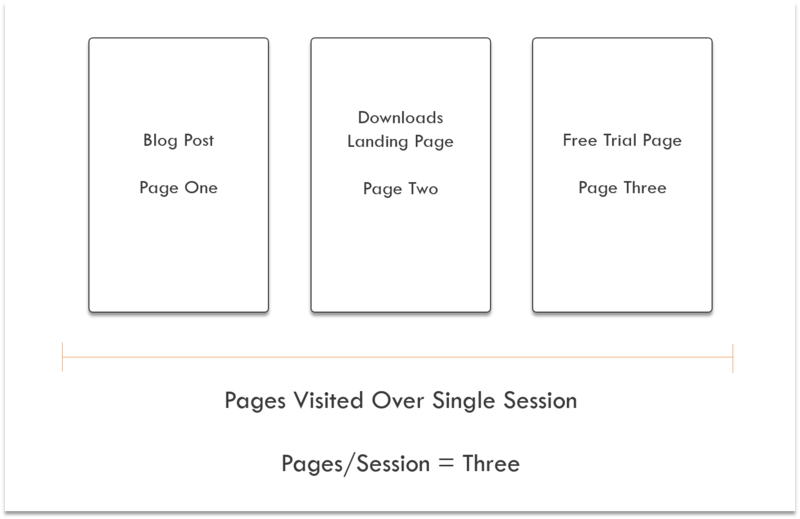 Pages/session are like bounce rates. Your goal is to get users to click. But where bounce rates only look at the immediate next step, pages/session looks at the entire breadcrumb trail. You have to optimize the visitor site path to increase pages/session. Provide a route to deeper content that makes sense and aligns with visitor interest. Above there are two paths which you lead visitors down. In example one, a visitor finds your blog because it discusses a topic their interested in. After reading the blog, they decide they want to learn more. So they download your Sales Automation guide. Now we’re seeing their interest begin to pique. 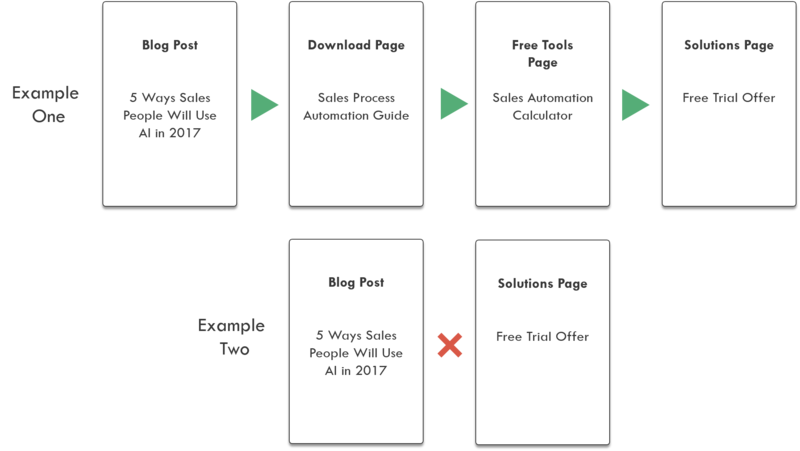 In your sales automation guide, you showcase how your solutions enable sales teams to automate processes. And at the end of the guide, you send the visitor to a free tool to give them a taste of your solution. And finally, after tinkering with your free tool, the visitor has all they need to engage with your solutions page. In example two, you skip essential steps in the visitor path. Your blog post did a great job of sparking interest, but by sending directing traffic straight to your solutions page, you lost them. It was too big of a jump. Resulting in a bounce or low pages/session. So now we’ve covered content engagement metrics for measuring time spent and clicks to other pages. Now we let’s focus on community engagement. We’re finishing off this content engagement metrics list with comments. It’s an outside the box metric for measuring engagement. One of the most important KPIs I look for whenever I post a piece of content is engagement, specifically comments. If people are commenting on my content, I’ve created something that sparks dialogue and is more likely to have an impact on my audience. Obviously, shares are a great indicator of a post’s virality, but comments tell you whether your post has true value. For example, a cute kitten picture or a slapstick prank video may have a high number of shares but no comments. Typically this happens when people enjoy the content, but that content doesn’t add long-term value for them. A comment, however, shows you that a person is passionate and excited about whatever it is you’re putting out there and is a much better indicator of how you made that person feel. First, the visitor has to read the whole post. Because if they don’t, the comment may not make complete sense on their end. Second, they have to take the time to compose the comment itself. Which usually only occurs if the visitors has an interest. Also, keep in mind you’ll only get comments on certain content types, like a blog. So how do you track this metric? You can go through your blogs and tally up comments one by one. 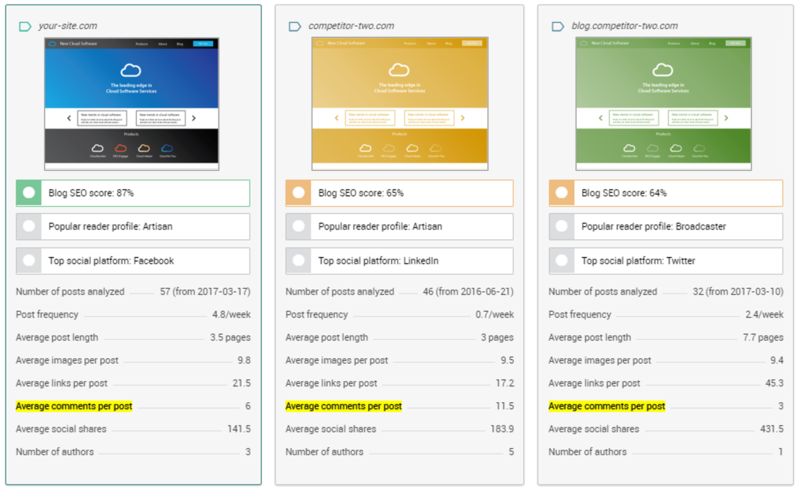 Or you can use Pagezii Blog Pulse Report and track comments across your content. Sparking a conversation starts with focusing on the right topics. Your audience is more likely to comment if you discuss topics they’re interested in. Because these are topics they’re familiar with and have an opinion on. So make sure your content touches on ideas that audiences can speak to. Next, ask your community to engage. At the end of every blog post, I encourage readers to continue the conversation in the comments section. Sometimes visitors just need that extra push to join the conversation. You now have content engagement metrics for understanding visitor interaction. You also now which direction each metric should be trending, and how you can optimize for each. Make sure to apply metrics that make sense for your business. And these are only a few of the many content engagement metrics you can use. Are there any others you would include? Make sure to leave your thoughts in the comments below.